Our first inductee is Kenneth Richard Coleman from the class of 1970. Ken passed away in October of 2005, but accepting on his behalf are his wife Kathy LaFon Coleman from the class of 1971 and his Brother Bob Coleman from the class of 1967. After high school, Ken served 4 years in the US Air Force. He also worked 23 years for Boys and Girls Town of Missouri. He was Resident Director on the Springfield Campus for 17 years. He was a proud parent of daughter McKenzie and son Mathew. Grandchildren are Alora, Kenny, and Kierra. Ken devoted his adult life to working in the community, coaching sports teams, teaching Sunday School, hosting 3 foreign exchange students, and providing services for at risk youth. He also directed his talents to several local charitable institutions including the Council of Churches, Foster Grandparents Board, and Rotary International, where he served as President of the Springfield Chapter for 1 year. Congratulations to the family of our first ever all state athlete…Ken Coleman. 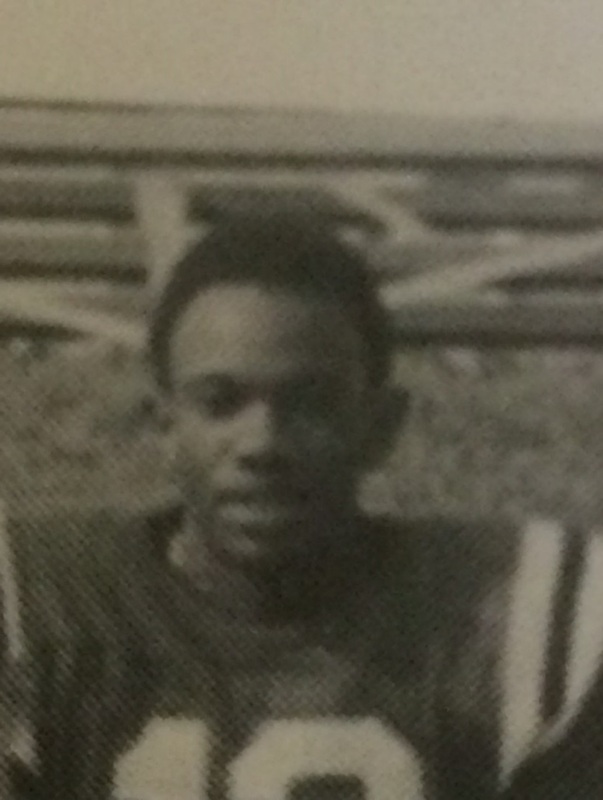 Our next inductee is also from the class of 1970…John “Johnny” Johnson. John Johnson has also passed away and no family members could be reached to accept his award. However we did not want his incredible athletic ability, contributions, and talent to go unrecognized. Johnny was a 4-year starter in Basketball where he earned All-Conference, All-District, and Honorable Mention All-State. He was known for his great jumping ability and a beautiful jump shot. As a sprinter in track, he was a 4-year letter earner. He qualified for district and state track in both his Junior and Senior year as a sprinter. He was a vital member of the first Track team to ever win a district Championship for the Thunderbirds. He also participated in football. On the gridiron, he was known for his kick return abilities and lightning speed. During Johnny’s years of basketball, the North Callaway Speech teacher also served as the announcer during basketball games. The announcer loved to announce him as the 6’ 2” 190 pounds of romping, stomping blue steel…number 35 JOHN WAYNE JOHNSON! Congratulations John and thank you for your outstanding contributions to North Callaway Athletics. Our next inductee is a member of the class of 1971. 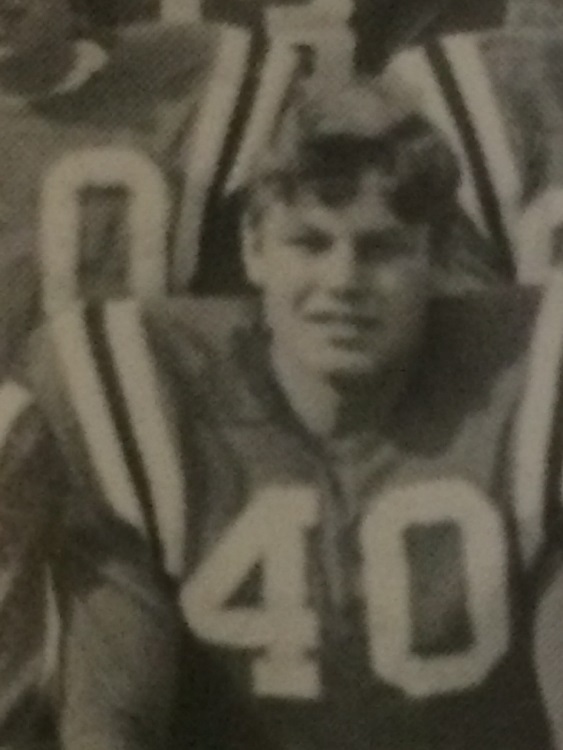 Bruce Graham was a football player known for his intensity and drive. His Coach (Nelson Richter) described him as “not the biggest player, but probably the most intense competitor he has ever been around.” That intensity helped the Thunderbirds achieve a 7-2 record for the team and All-State honors for Bruce. He was a Team Captain and also earned the “Bad Bird” and “Root Hog” award. There was never any question that he would give his all for the Thunderbirds. If you do not recognize his face, you might recognize his voice. Bruce continued to contribute long after his playing days as the Radio Broadcaster of Thunderbird Football. Many fans who could not attend a game would be listening in and enjoying the passion Bruce would bring to the broadcast. He broadcasted Thunderbird Football for approximately 20 years. Players would record the broadcasts so they could later hear their name that had been called across the airways. Listening to Bruce “on the radio” became a vital part of the North Callaway experience. When Bruce was a Sophomore, he had the opportunity to experience a Coach Cox supervised study hall. Coach Cox ran a tight ship that highly motivated Bruce. From that point forward his grades were all A’s and B’s. He became a school leader and eventually became Student Body President. Bruce has spent his career in insurance. He has stayed close to home having an office in Auxvasse for many years and one currently in Fulton. He has 2 daughters (Emily and Alycia) and his wife Nancy. He also has 2 grandchildren (Gracie and Graham) that live in the Kansas City area. 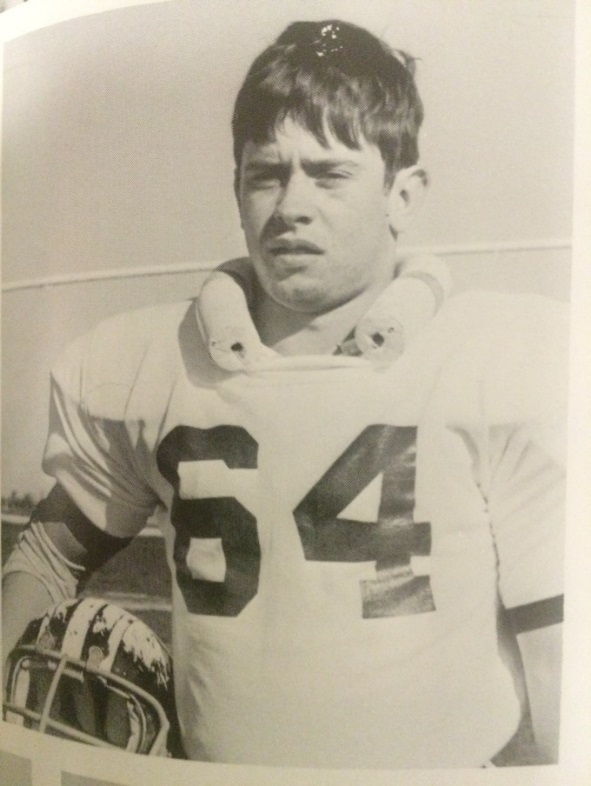 Congratulations to a true Thunderbird that bleeds Green….an All-State football player and forever the voice of the Thunderbirds…Bruce Graham. Our final 2017 Hall of Fame inductee is Jerry “Chop” Schoppenhorst. Jerry graduated from North Callaway in 1968. He spent his Junior and Senior year at North Callaway where he was a player for the basketball team. He also served as manager for the Track team. After high school, he was a manager for Northeast Mo State before coming back to North Callaway in 1970. From that point forward, Chop has been with us through thick and thin. He has seen many coaches, athletic directors, and athletes that have coached and competed on the courts, fields, and diamonds. 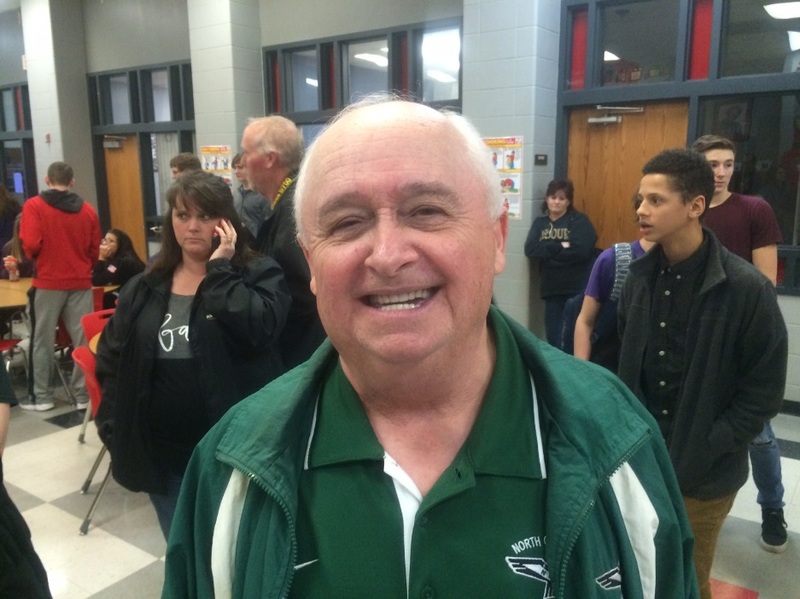 He has kept the stats for almost every game North Callaway has competed in since 1971. In his 46 years, he has totaled over 700 football games, 7000 basketball games, 1800 softball games, and 225 baseball games. By early next season, he will have kept stats for over 10,000 games. Most people do not know about the hours he spends after games. He will stay at the school to make sure every newspaper and television station receives our scores and stats before heading home. The publicity he provides for our athletes has played a major part in the recognition that they receive in post season honors and scholarships. He gladly does this, as long as we are willing to tolerate his jokes. Every official in Central Missouri knows Chop and looks forward to hearing the latest joke of the week when they show up to work games. Chop has dedicated a majority of his life to the many athletes, coaches, administrators, and all aspects of North Callaway while never asking for anything in return. His selfless efforts have brought pride to our school and inspired many. Congratulations and a very special thank you to our very own “CHOP”! Would everyone please join us in congratulating the 2017 inductees to the North Callaway Hall of Fame!